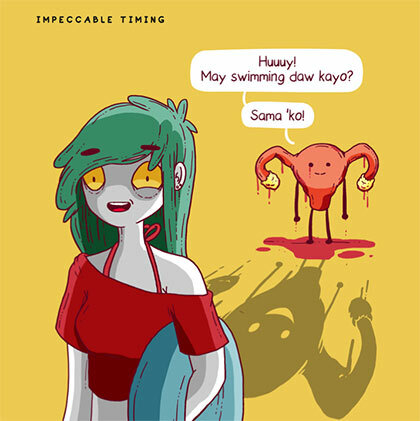 If you’ve scrolled through your feed any time these past few months, you may have seen comic strips from Hunghang Flashbacks (HHFB) posted by your friends. 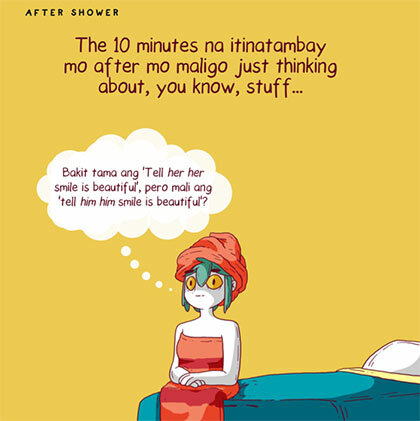 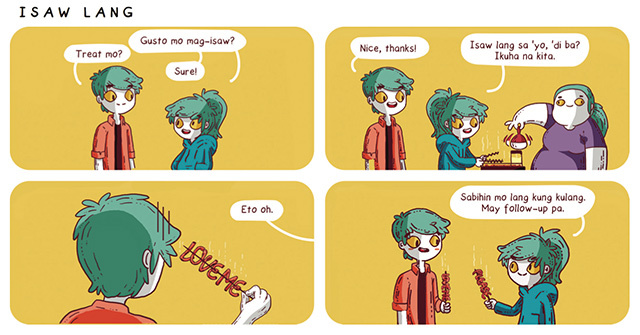 With their deadpan takes on everyday Pinoy life, the hilarious web comics created by D. Borja have become a sticky, indispensable part of FB feeds everywhere. 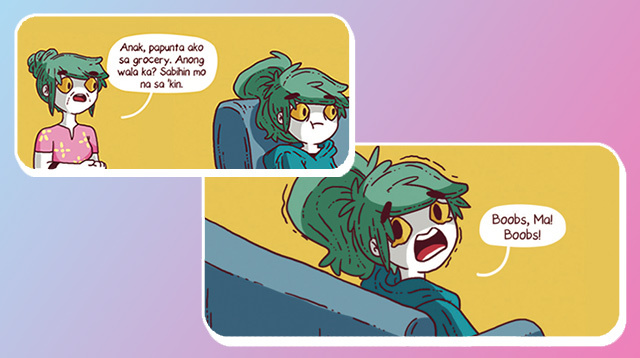 Now, the best HHFB comics—plus over 30 original strips—have been collected into one drop-dead funny book that will be launched at this year’s Manila International Book Fair (from September 13 to 17 at SMX Convention Center). 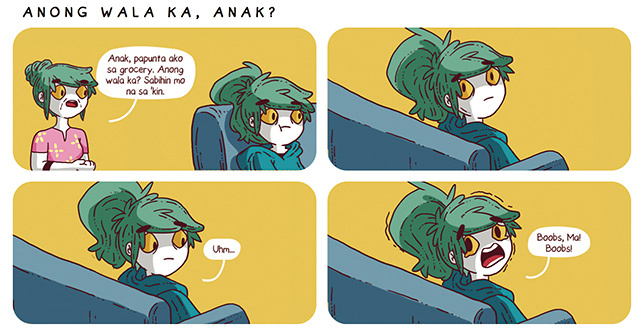 And that’s just a taste of what to expect when you grab a copy at the Manila International Book Fair. 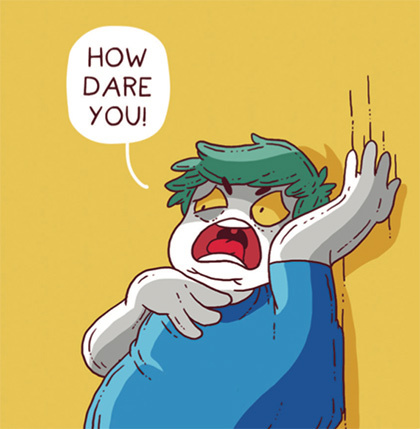 Can’t attend? 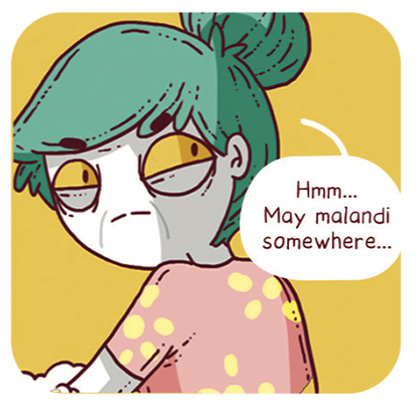 Hunghang Flashbacks: Hala Shet, Libro Na will also be available in bookstores for just P295.